On October 26, MCU was visited by Dr. Gesine Lenore Schiewer of the University of Bayreuth. Dr. Schiewer is the Head of the German Philology Department at the University of Bayreuth and the President of the International Association of German Philology. MCU enjoys long-established ties with the University of Bayreuth, which was MCU’s first European partner to host MCU’s students for long-term exchange programs. This time the parties met to discuss the ways to expand and intensify the areas of cooperation. 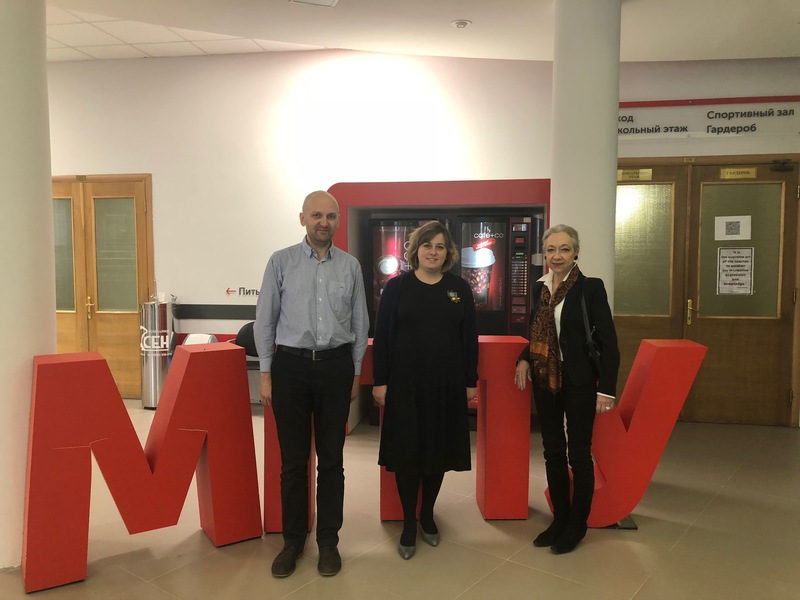 Daria Milyaeva, Head of the International Relations Department, and Alexander Bazhanov, Deputy Director for academic work, talked with Dr. Schiewer of promoting the BA and MA double degree programs, encouraging staff and student exchange, and involving students in summer schools. Joint conferences and research projects are considered a crucial part of the universities’ collaboration.